Archer Restoration Services is proud to provide professional, affordable home remodeling throughout the Metro Atlanta area. 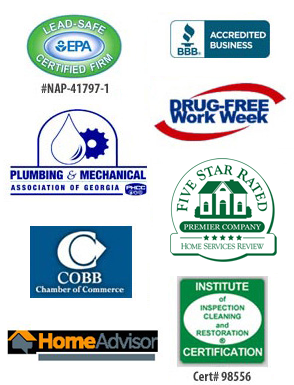 We are a licensed contractor in the state of Georgia, and we’ve received an A-plus rating with the Better Business Bureau. Whether you want to rebuild after a flood, a fire or a storm disaster, or you simply seek a stylish update to your home, Archer’s courteous, experienced staff has the know-how to make it feel like new again. Many home remodeling jobs require a variety of skills, such as carpentry, lead paint removal and plumbing. Archer’s turnkey service means our technicians are trained to perform the full range of tasks necessary to complete the job, so you’ll never have to hire another contractor. Should you require our remodeling services after suffering water, fire or storm damage, we offer the convenience of direct insurance billing so you won’t be further burdened by having to deal with an adjuster. Archer is a full-service restoration company, offering floor repair, carpet cleaning, emergency water removal, mold removal, handicap retrofitting, and many other services in Sandy Springs, Stone Mountain, Norcross, Woodstock and throughout the Atlanta region. Contact us today to find out what sets Archer apart from other restoration companies in North Georgia.